TAY, I’ve been incredibly bored during this winter break T.T I thought it was going to be fun having some time off, but nope it’s been a nightmare. I don’t know why, up until mid-december I was having a good time, but the second half was so forgettable, bland like an unsalted boiled egg. And I know myself I’m terrible when I’m bored, either I harass people just to get a reaction out of them, or I just start cooking and eating a lot. And while I did harass people and got some great results, I still couldn’t get enough out of it. 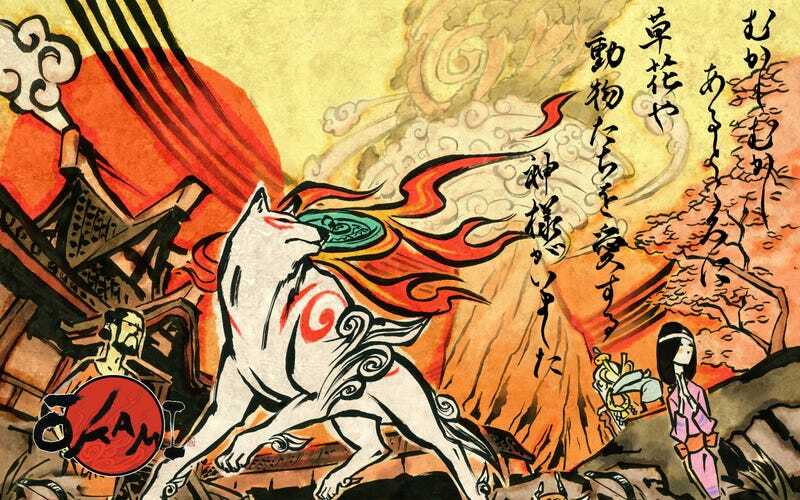 That’s when I remembered that I had a bunch of games for my PS3 and that’s when I booted up Okami for the first time ever. My first impression of the game was not great, I wasn’t loving some of the gameplay mechanics and the constant interruptions in the first two hours of the game were not helping. Six hours later and I cannot stop playing the game. It’s been a blast, although I still have some minor gripes, like the combat system, and the camera work could be better and maybe I’ve been pampered by Nintendo all these years... but man this game would benefit a lot from having a dynamic soundtrack. There’s no topic for tonight’s GS. Feel free to talk about whatever you want to talk about, be it love, music, food or video games.